This is for my brothers and my sisters that feel the passion deep inside. For people who believe that our world can be a beautiful and safe place for everyone. This is guide is for YOU. 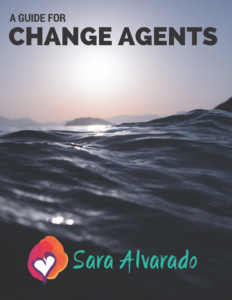 You are a Change Agent and the world needs you more than ever today, just the way you are.